When Boomtown got in touch and told me they were building a whole new district for 2016 I knew we were going to have to take things up a notch! The concept behind Sector 6 is that the boomtown rebels are taking over and this is their HQ, a fully functional nuclear power plant in the heart of the city. The district itself will have a dystopian aesthetic however the brief was to create something that felt in use and alive rather than derelict. 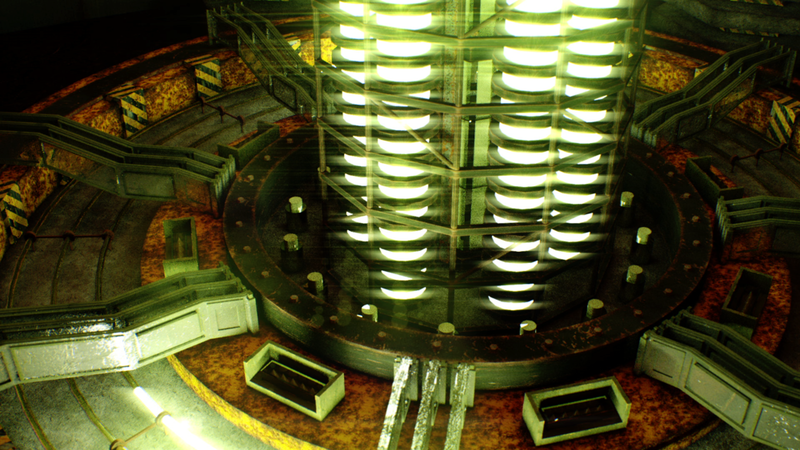 The solution is a fly-through journey into the power plants core through various engine rooms and a big central reactor that are all in full flow. I find industrial form and texture fascinating and wanted to bring this to the table. The use of the octane rendering engine was key to the outcome of this project. It allowed me to produce some really interesting textures efficiently and bring in a lot more realism to the table compared to previous approaches with similar projects.